Some new information about Sony’s upcoming Xperia XA3 Plus and L3 smartphones has been leaked. The XA3 Plus device will apparently have a retail price of 519 Euros (~US$589) in most European markets, and it is believed it will come in a choice of three colors: black, silver, and gold. The Xperia L3 is also expected to be made available in Europe. 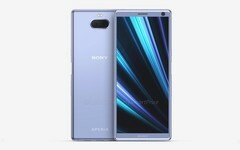 Droid Shout has published an article stating that Sony’s Xperia XA3 Plus and L3 devices will be coming to markets in Europe. Certain details about the successor to the Xperia XA2 Plus smartphone have been leaked, such as an expected cost of 519 Euros (~US$589) for the larger variant of the XA3. The new addition to the Xperia line-up could come in black, silver and gold, and it has been speculated that the XA3 Plus will operate with an SoC from the Snapdragon 600-series. Little else has been revealed about the Xperia XA3 Plus, although it has been rumored that the smartphone will have an FHD+ display that measures over 6 inches and at least an 18:9 aspect ratio. An Ultra variant in the XA3 series has also been mentioned elsewhere, with proposed specifications including a Snapdragon 660, 6 GB RAM, Android 9 Pie and a 6.5-inch 1080x2160 display. Unsurprisingly, the lower-range Xperia L3 will likely offer a smaller 5.7-inch HD+ screen with a 720x1440 resolution. A dual camera system and side-mounted fingerprint sensor could also be on board. Both the XA3 Plus and the L3 should come with Android 9 Pie already installed. It’s likely the Japanese manufacturer will reveal more details about its upcoming products at CES 2019.